Nusa Penida have a port called Toya Pekeh which is a place where you can find many kinds of sea transport. Traditional boat called Jukung usually departs from Denpasar to Sanur with 90 minutes long journey. 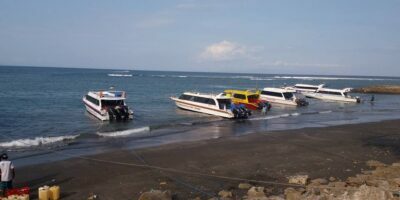 You can also reach Nusa Penida faster by fast boats, it takes 50 minutes away with variety price and type of fast boats to choose.